An extreme range of conditions existed across Arkansas with below freezing temperatures in LIT and 70's in SE AR. The warm front visually was quite obvious as I drove down into SE AR. I pulled ahead of the warm front near Dumas, AR and observed developing storms. 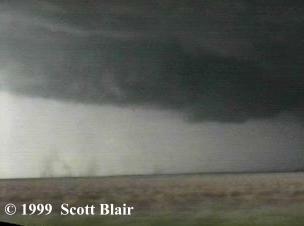 One severe storm went through Dumas that contained a multi-layer shelf cloud. The storms were slightly elevated as the cold air at the surface tended to run ahead of the storms. FULL ACCOUNT AVAILABLE. Decent conditions early quickly turned into highly favorable conditions as the day progressed. I left work around 2pm and blasted northeastward to ongoing supercells. Arriving in Jackson and Poinsett Counties, a tornado warning was issued for a massive supercell to my east. I finally had an excellent view near Harrisburg, AR. 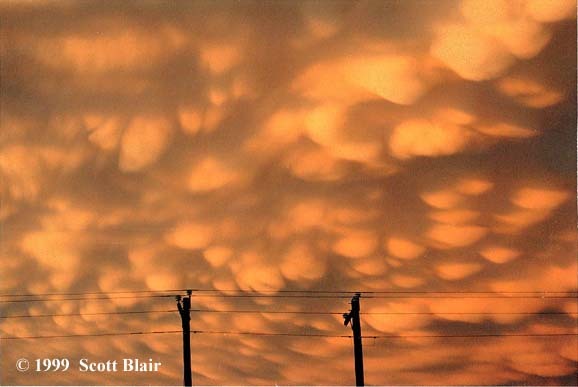 The structure and associated mammatus clouds at sunset were breathtaking. The base was visible, although no signs of a serious tornadic threat was evident from my distance. Excellent structure for an early season severe weather event. FULL ACCOUNT AVAILABLE. 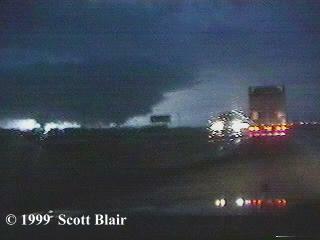 This was the largest tornado outbreak to strike the state of Arkansas with 56 tornadoes reported. We observed three tornadoes from two supercells across Central and East Central AR. Following the Wheatley supercell for hours into the night, we observed two tornadoes on the ground around 6:15pm. 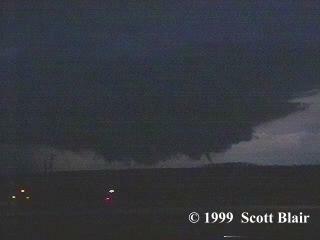 The Colt tornado continued for a few minutes before the meso was finished. 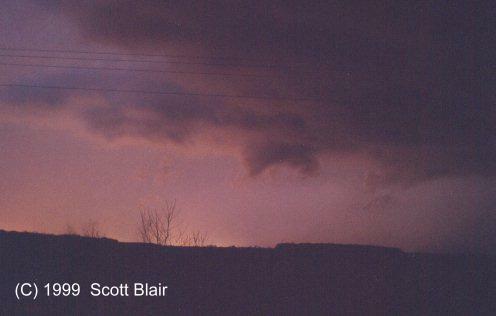 A new supercell east of LIT produced a weak tornado observed around 7:55pm. Classic chase day! Photos Coming Soon Northeast AR was the target as I drove to Jonesboro, AR. We observed convective towers developing to the west. At 4pm the strongest cell appeared to be west of Harrisburg, so likewise took Hwy14 towards the cell. We pulled off about 6 miles east of Harrisburg. In the distance, an impressive shelf cloud neared that marked a severe gust front. The peak of the chase hit at 4:10pm. As the shelf cloud neared, dust in a field to the west of us began to kick up and blow towards us. The gust front moved overhead as we were slammed by dust and 65mph winds. Strong winds blew for at least five minutes before we saw a few raindrops and decided to try to run ahead of it. The storm overtook us with heavy rain and pea-sized hail. Photos Coming Soon George Hoelzeman, Jeff Crum, Jason Politte, and I chased into Oklahoma as a decent dryline setup was in the works. After meeting in Sallisaw, OK, our spirits were somewhat high. 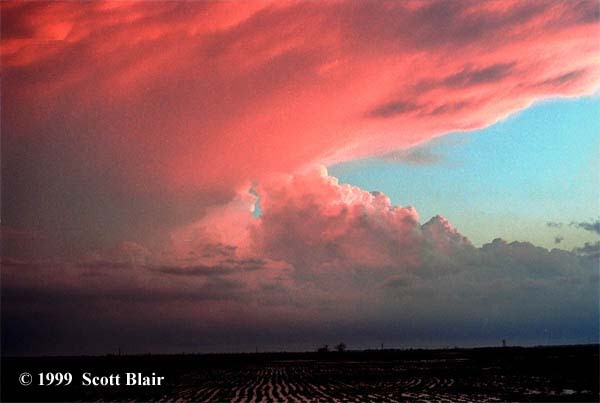 We decided to set up in Central OK. We viewed four classic supercells in the distance near El Reno, OK at sunset. The cells were generally all around us, but the long drive from LIT delayed us too much to catch the storms before sunset. 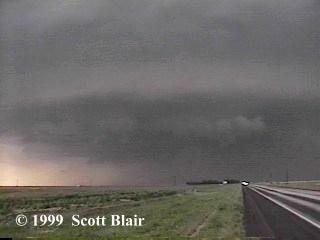 The supercell near Elk City was under a tornado warning for a few hours before finally winding down. The 700 mile long chase was worth the drive thanks to a few nice stills at sunset! We invaded the local Pizza Hut and arrived back in LIT at 2am. Jason Politte and I targeted areas of Western AR near Russellville and observed late-morning severe storms that slowly died down. We caught a second round of storms once again near Russellville. We stayed ahead of the line and captured an impressive shelf cloud along Highway 64, north of LIT. 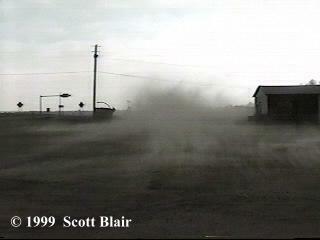 Strong outflow winds were noted as a large gustnado formed along the leading edge of the shelf right in front of us. This line of storms was much more intense than the earlier round. SPC placed a tornado watch out as the line extended from state borders. 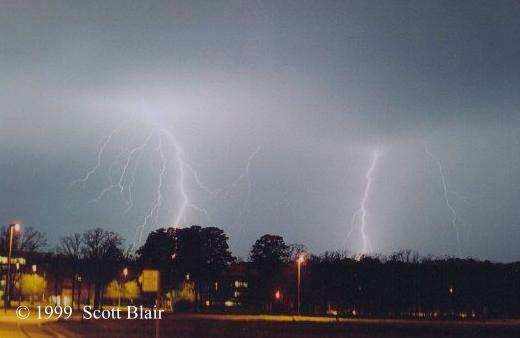 The 500 mile chase ended with close lightning bolts at Subway in Cabot, AR. Easter brought a stalled frontal boundary across South Central AR. A decent convective overruning setup took place as I observed one strong storm near LIT. The cell had very little potential of tornadic activity due to the elevated nature of the storms. 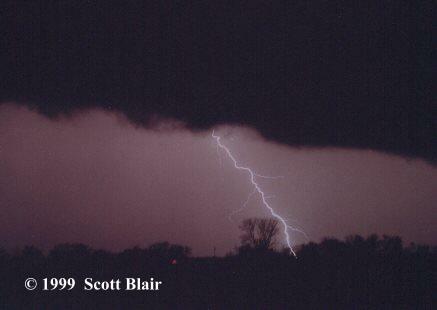 However, it produced several vivid cg lightning strikes which presented the opportunity for stills. A serious outbreak of severe weather hit AR and MO on April 8th. I first set up in Northeast AR near Hoxie, but moved back into Central AR after discovering the system had slowed. A high risk was issued by SPC for areas in Missouri with a MDT has far south as LIT. Poor surface heating during the day helped weaken the potential of extreme storms across AR. By sunset, a tornado watch was posted for areas of AR. Numerous small supercells developed across Western AR before moving into Central sections. I decided to set up to view a cell under a tornado warning in Faulkner County. At 11:07pm, I was a few miles south of Mayflower when a strong gust front slammed near 70mph winds across I-40. While no hint of anything tornadic was observed, the wind was significant. The chase day ended with 250 miles. FULL ACCOUNT AVAILABLE. Excellent chase day out in the open plains of Central NE. Weak shear along with a cold front was just enough dynamics to produce an awesome supercell. We observed a long-lived wall cloud northeast of Brady, NE, which finally became wrapped by RFD precip just shy of an hour. We captured the storm once again near Holdrege, NE towards sunset after a tough road network. 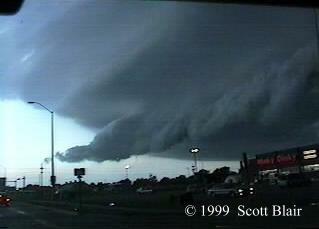 The supercell was becoming outflow dominated, but still contained breathtaking structure. We ended the classic chase in Holdrege. FULL ACCOUNT AVAILABLE.Kevin Scharfenburg, Jason Politte, and I targeted SW Kansas as the setup looked quite favorable for supercells and a few tornadoes. 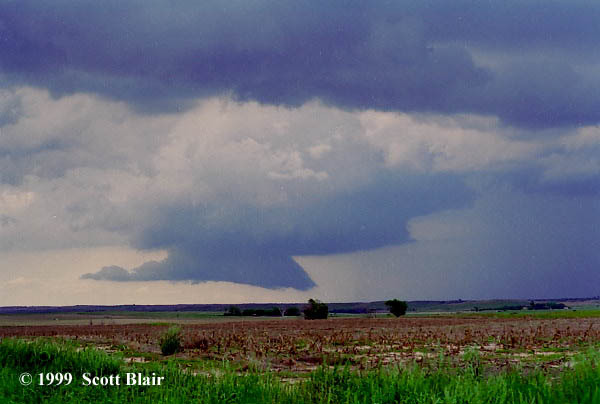 The first significant towers developed at 4:30pm near Moscow, KS. 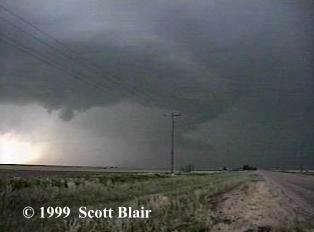 The storm had the appearance of a LP, but quickly evolved into a classic supercell. A well-developed beavers tail stretched from the base of the storm with a hard anvil overhead. A quick, full condensed tornado touched down around 5:57pm west of Meade. The tornado lifted and the storm continued to organize with a nice wall cloud and RFD punch. At 6:24pm, a nice dust whirl tornado developed just SE Meade. Due to poor road options shortly after, we fell behind the cell. We ended the day with an excellent lightning show on the way to OUN. A highly unstable airmass was in place across North Texas with SBCAPE up to 6000. Jason Politte and I targeted Whitesboro, TX and waited forever for convection to initiate. 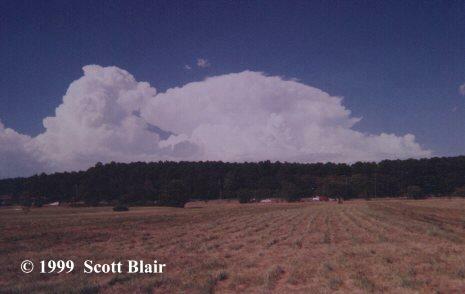 Finally by late afternoon, towers rapidly exploded and we observed a supercell just west of our original target. 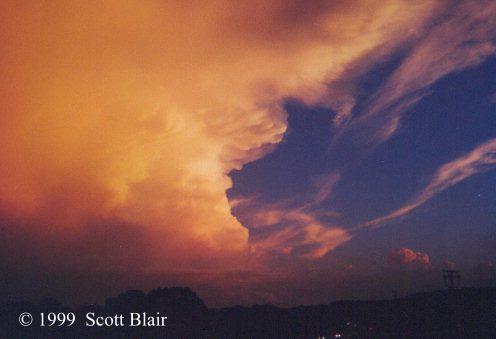 The storm had excellent structure, but was being slightly seeded from a storm to its south. We observed baseball sized hail north of Sherman. We drove west back towards I-35 to get some excellent color on the backside of the supercell at sunset. FULL ACCOUNT AVAILABLE.A classic dryline setup took shape over the TX Panhandle. Jason Politte and I drove to AMA and then shifted south towards better surface heating. 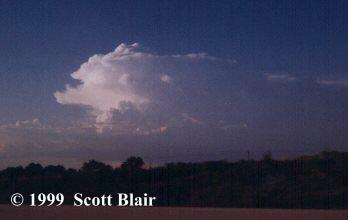 By 5pm, a nice supercell was developing near Littlefield, TX. Early in its life, the cell was outflow dominated but through time finally wrapped up significantly. 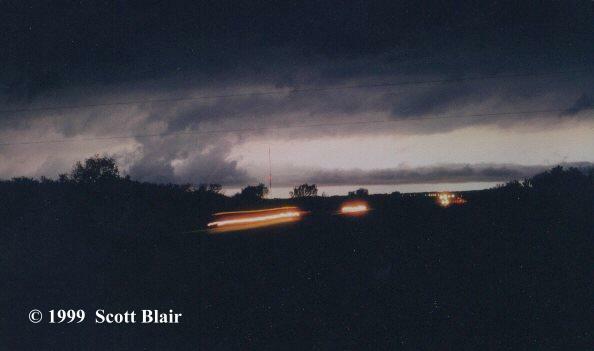 Shortly after 7pm, the storm had a well-formed wall cloud very low to the groud. RFD precip wrapped around this feature shortly after. By 7:40pm, the storm acquired more classic supercell characteristics and our position aided backlight. At 7:45pm, a nice funnel condensed downward, swirling dust and small debris. The tornado was 8 E of Nazareth and lasted for about two minutes before RFD precip again wrapped around. 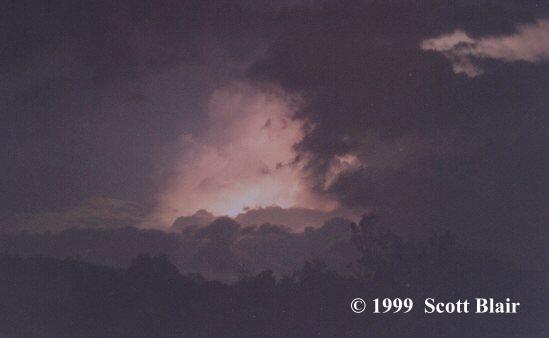 The day ended at sunset with excellent color and cg lightning observed. 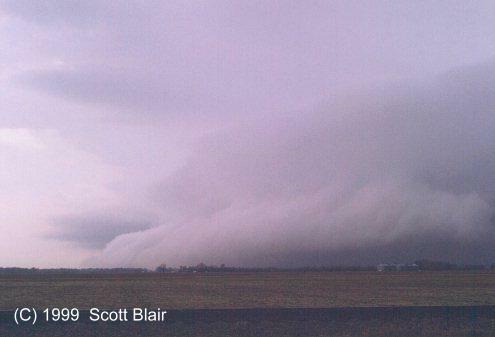 A strong cold front was progged to move through areas of the southern plains. I targeted areas of NE OK and departed LIT early morning. Surface temps rose to nearly 105 with heat index readings up to 120! Luckily my AC went out this day. Before passing out in the terrible heat, a nice storm developed north of Tulsa. 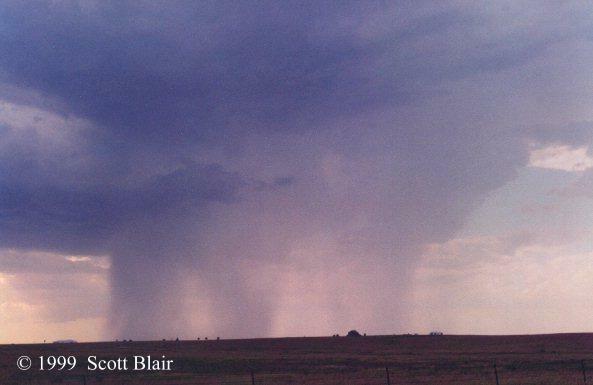 It was multi-cell which produced a strong wet microburst. 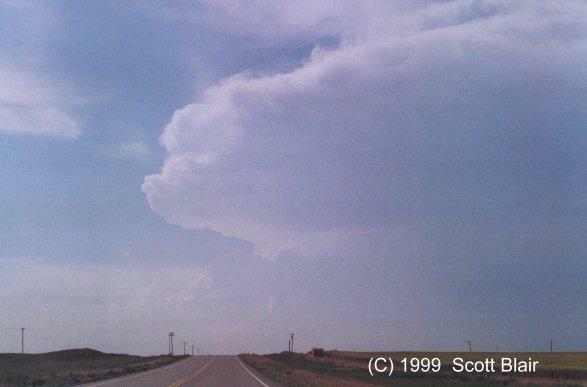 The storm later evolved into a supercell with an overshooting top and a decent updraft. The strong cold front that affected areas of NE OK the previous chase continued south into Central AR. Convection fired by mid-afternoon N LIT as a long-lived storm tracked SEward. By 7:45pm, a large supercell formed just S LIT. The storm filled the anvil sky above with numerous mammatus clouds. The updraft tower turned brilliant colors towards sunset, making for a breathtaking sight. The storm resulted in damage as it tracked SE towards Sheridan, AR. A strong cold front punched into the southern plains with dynamics to support some severe weather. Shortly after sunset, storms evolved into a powerful squall line, producing wind damage in Norman, OK. We intercepted the Norman storm along I-40 near Clarks Heights, OK. We set up on a hill with a great view and watched the storm grow closer. A well formed roll cloud and shelf cloud illumianted by lightning were the highlights followed by 50mph sustained winds. We stayed at OUN for the night and attended the open house of SPC, NSSL, NWS the next day. The never ending chase across NE TX as three rounds of storms were observed. The target area was set just to the west of Sherman, TX. After watching cells build in OK for a few hours, convection finally occurred across N TX. We pushed west along Highway 82 and watched a beautiful and very active squall line. The Tail-End Charlie moved NE in front of us providing more lightning opportunities. I arrived back at MLU around 6am on the 3rd. By the evening of the 3rd, Jason Politte and I departed and chased a weak storm in NE TX under a tornado watch around 3am. After an hour of sleep and Subway for breakfast, we chased a tornado warned cell near Longview and just missed the tornado before it lifted. All in all, a decent chase time, but a very long trip.